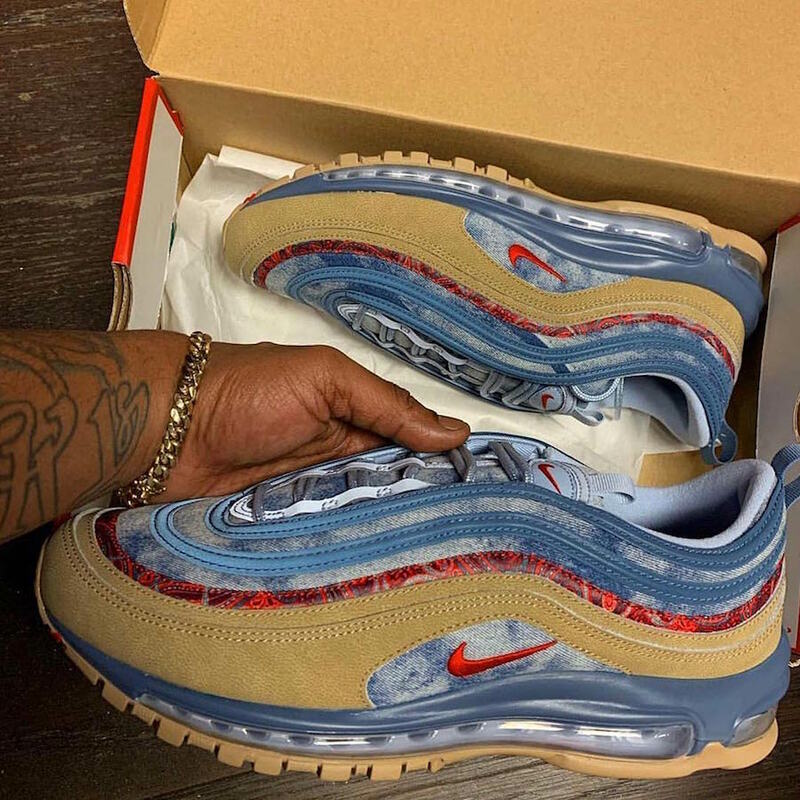 Nike Air Max 97 "Wild West"
Following the Nike Air Max 95 “Wild West”, comes the Nike Air Max 97 version featuring a Parachute Beige/University Red-Thunderstorm-Lite Armory Blue-Sail color combination. The Wild West 97 features a denimesque material on the uppers, alongside red paisley story telling the western inspired colorway perfectly. 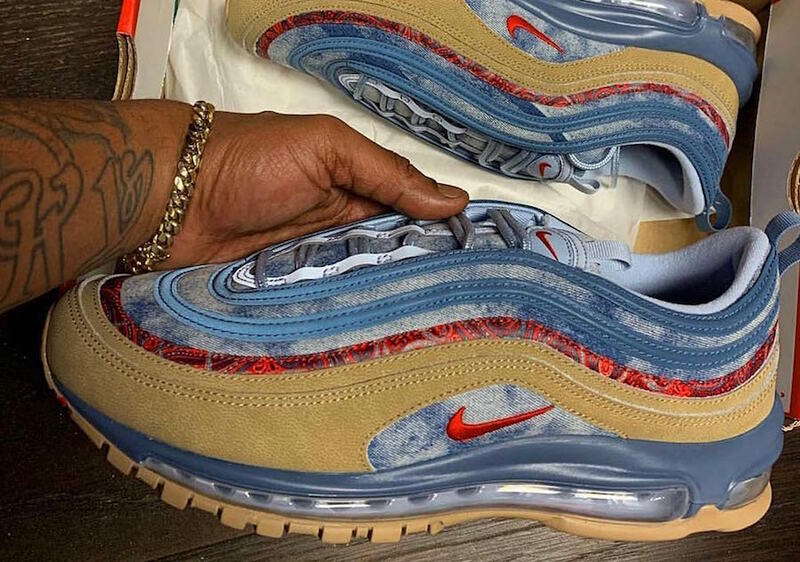 Cop Nike Air Max 97 “Wild West” on February 2nd at select NSW retailers across the globe. thank you for presenting the Nike Air Max 97 wild west! I really like the colorway and already own two pair – one in black-white-amarillo and the other one in white-cone-metallic silver!